A 6” cloud study, oil on paper, made from pencil notes taken near Portland’s Fremont Bridge. Clouds don’t wait for us to go home and get our oil box. 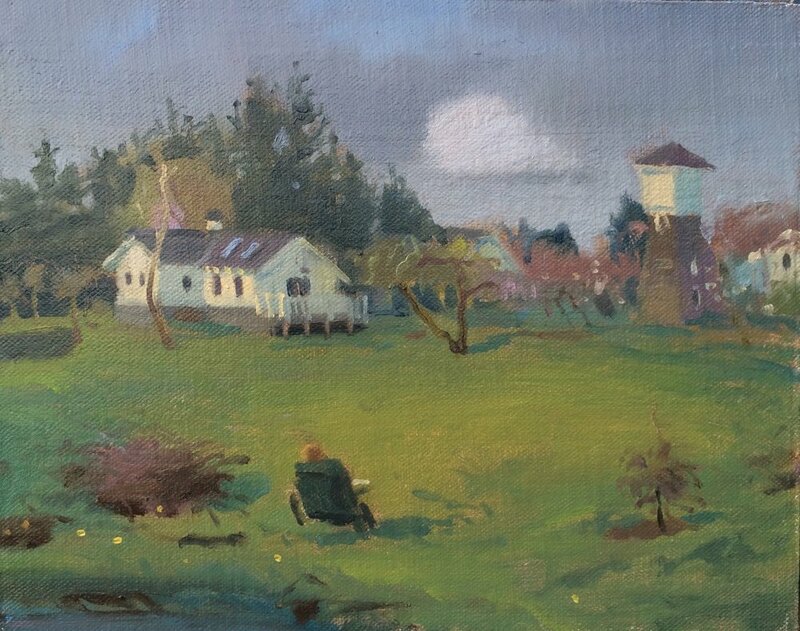 Carson Ellis lives on an old farm in Tualatin. Her job there is to keep the owls in the barn hayloft comfortable without letting the floor beneath them rot away. I went out to visit yesterday with the intent of painting a split oak next to the pond. But then I saw the owls. And then I saw the goat in the goat tree. And then I saw this cloud hovering between the water tower and the nut drying house. So I'll have to go back sometime.